We can’t keep this sweater in stock – it just flies off the shelves. Why? It’s ultra comfortable and they can’t keep their eyes off of you… It’s 100% Alpaca and comes in Silver, Brick and Blue. So, if you are looking for versatility, save a spot in your wardrobe closet for all 3. Would you like to be featured here? We'd love to have you! Simply tag us on Facebook, use #simplynaturaldesigns on Twitter or add us on Instagram. We'll share your photograph and add it to our product pages. 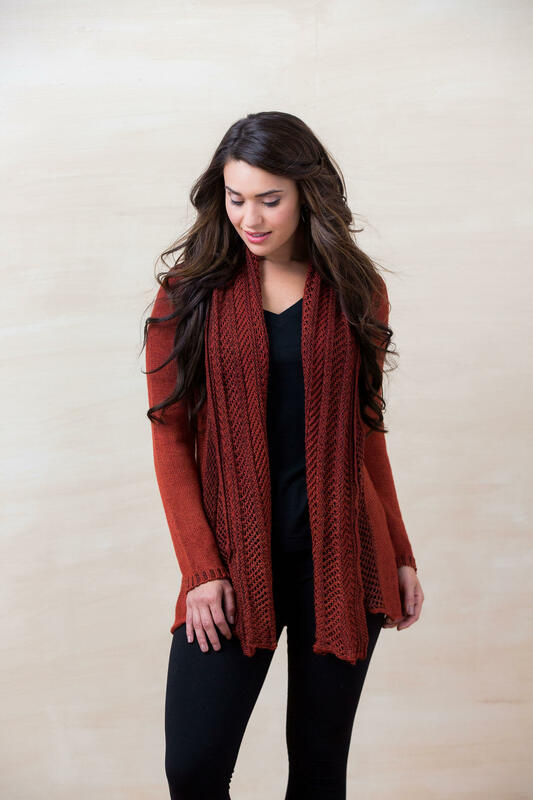 Alpaca is the first fiber of choice at Simply Natural. We’ve fallen in love with this wonderful material because of its unique qualities — it is irresistibly soft and toasty warm. It is featherweight and long lasting. And most of all, it’s just plain beautiful. 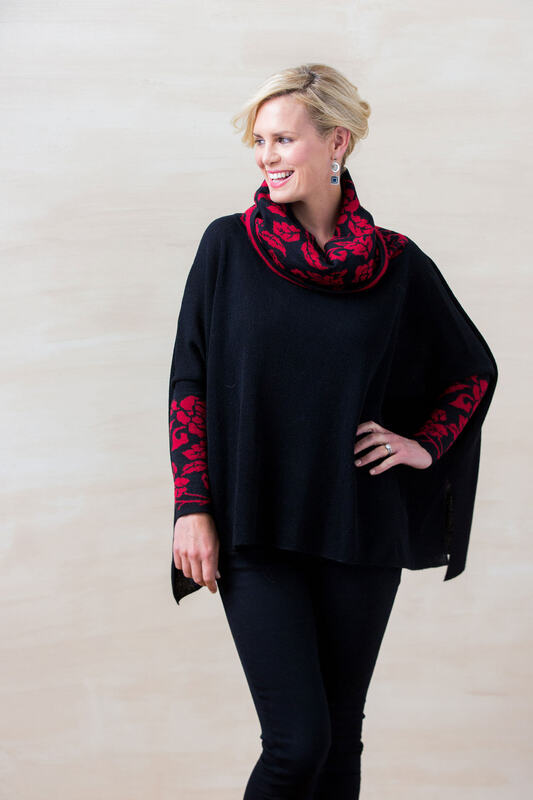 All of our clothing is created in Peru – the ancestral home of the Alpaca. Alpaca’s history is over 6,000 years in the making. The animal was bred from the wild camelids in the Andes Mountains regions in ancient times. Centuries before Rome, alpaca domestication produced a thriving economy in the Andes region. Evidence indicates that this ancient civilization produced finer fleeces than what we have today. Later in the Inca Empire, status and wealth was measured in cloth, most of it alpaca cloth. It was safeguarded in secure storerooms and guarded like gold. Armies were paid in cloth. Their civilization defined itself by this silk like cloth. Royal herds were protected and developed. Records and historical accounts were recorded on elaborately embroidered tapestries. So, for thousands of years, painstaking care was taken to develop fine fleece, which while soft, was also warm and extremely durable. When Spanish conquerors stormed the Inca Empire, the centuries of care in alpaca breeding was virtually lost. The Spanish considered the alpaca a competitor for grazing lands for their sheep. The alpaca therefore became a source of meat and was slaughtered almost to the point of extinction. The Inca who survived were driven high into the Andes, taking their most prized alpacas with them into hiding. The alpaca population survived due to their great importance to the native people, and their ability to endure the harsh mountain climate. So, through the history of alpaca breeding, nothing was spared to create magnificence. Raising alpacas is environmentally friendly. They live in the Peruvian highlands and their padded feet tread the ground gently. Unlike other animals, they don’t destroy the root systems, they drink less water than cashmere goats and create enough wool to make 4-5 sweaters every year. It takes 4 goats to make one cashmere sweater. There are several grades of alpaca. When an animal is sheared, the fingers of highly trained sorters separate the different grades of alpaca wool. Fineness is measured in Microns and finer fiber has a smaller micron count. Fineness equals softness. Human hair has a micron count of 58 to 100, while most cashmere is in the 15-19 micron range. Alpaca fiber can range from 15-40 microns—depending on their breeding and age—with younger animals having the finest fiber. Sweaters made from Royal or Baby alpaca can rival the finest cashmere and are less likely to pill and are longer lasting. We’ve seen alpaca sweaters, properly cared for and worn daily for 20 years, look good and are still going strong. 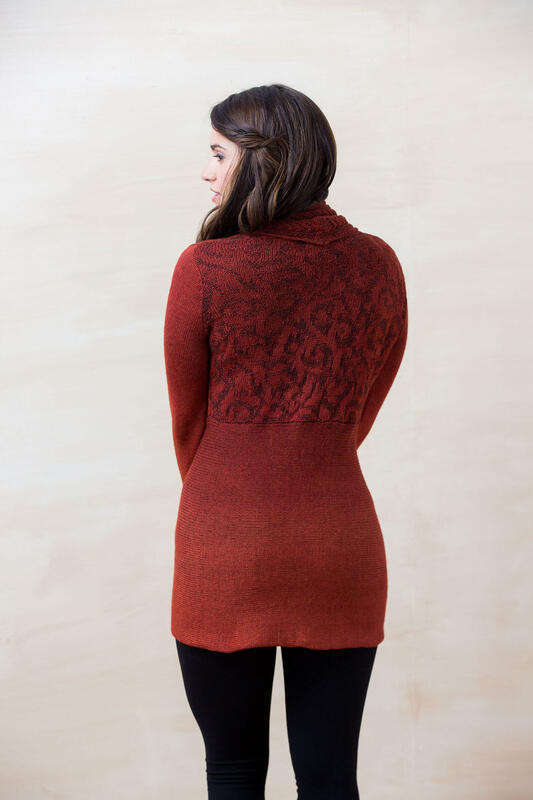 So, alpaca, in addition to being beautiful, warm and cozy is also a smart investment! It’s better to buy a few long lasting sweaters than a bunch that you have to throw away sooner than you’d like. We travel to Peru several times per year to personally source the yarn and hand select the best quality and colors. We design our garments with you in mind and oversee production in our artisan shops to bring you the best Peruvian alpaca capes, sweaters, coats and accessories. Every flower is hand embroidered. Every care is taken to ensure you have the best alpaca garments in the world. Simply Natural is more than alpaca, as you will see — but alpaca is our starting point as one of the finest fibers on Earth. Let us show you what centuries of care and development can mean to fine knitwear. Measure over undergarments and keep tape measure level and close, not tight. If possible, have someone else measure you – we’ve noticed it’s more accurate that way. Chest: measure at the fullest part of the chest, keeping the measuring take under the armpits and over the shoulder blades. Waist: Measure around the narrowest part of the natural waistline. Hips: Standing with heels together, measure around the fullest part of the body approximately 8” below your natural waistline. Contact us:Store@sheepskingifts.com or via Telephone at 302-276-1317 with any questions! Enter your email address below to subscribe to our amazing newsletter and receive discounts, great tips, VIP sale info and notifications and more! Copyright © 2016 Simply Natural Designs - All Rights Reserved | Site by Burnt Creative.